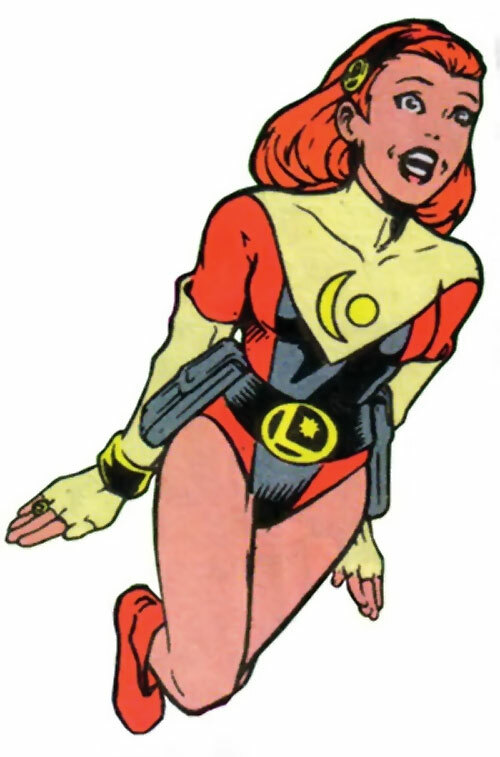 Kinetix is from DC Comics’ Legion of Super-Heroes far-future-in-space setting. Specifically from the rebooted continuity version that started in 1994. Kinetix herself appeared in 1995. That continuity lasted for about 10 years. Then it walked into a dark area and was eaten by a grue. Known Relatives: Azra Saugin (Mother), Thanot Saugin (Brother). Kinetix’s telekinesis is a gift granted to her by the sorceress Mysa, who conspired to create a champion who could track down the Emerald Eye of Ekron. She can lift up to six tons with her mind, and can restrain most foes. There is no shortage of power-hungry people in the universe. But few desire power for unselfish purposes. Fortunately, Zoe Saugin is one such seeker. She first quested for power when her archaeologist mother fell ill, in order to heal her. She found it in the Moon of Kol, an artifact that her mother had once unearthed. From then on, she found that magical objects lent her the power to animate unliving objects. This was an ability that her mother has found useful on countless occasions, sparing her the tedium of digging for her artifacts. It had been brought about by her mother’s own use of a mystical object to heal the dying witch Mysa. But Zoe was aware of a greater need for help, of suffering beyond her immediate family that needed to be alleviated. To this end, she constantly sought more objects of magical power. 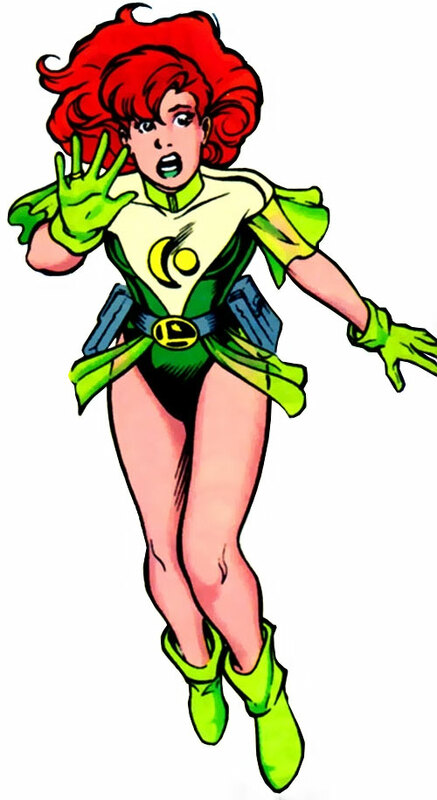 This search continued even after her home planet’s ruling council drafted her to represent it in the Legion of Super-Heroes as Kinetix. On one such foray, she took along Shrinking Violet, whom she adopted as her best friend upon joining the Legion. The two of them found the Star of Akkos…an object which, contrary to Zoe’s desires, drained her power rather than increased it. This was part of a plan by Mysa to enlist Kinetix in her service. 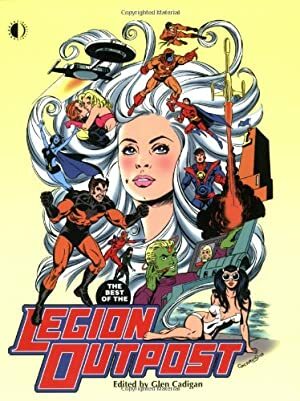 Since the political implications of removing someone from the Legion would be disastrous, Legion leader Cosmic Boy sent her on temporary leave while she looked for new powers, also as Mysa had planned. Her search was nearly the end of her when the White Triangle Daxamites began destroying stargates. One of the broken gates was the one Zoe was supposed to use to reach her destination… but she found a planet to land on and was rescued by Mysa, who did not reveal to her their previous connection. Mysa trained her in magic and attuned her body to a magical artifact called the Emerald Eye, for which she wished Kinetix to search. When the training period was completed, Mysa transformed Zoe’s body into that of a mystical creature, with pointed ears and a tail, and sent her off to search for the Eye. The search has brought her back into contact with her fellow Legionnaires, since Shrinking Violet (unbeknownst to all) possessed the Eye (or perhaps vice versa). This fact was horrifically revealed to her some time later. While the entire Legion was in possession of the Eye, Kinetix attempted to take control of it herself. But she was unable to break its strong link to Violet, and ended up drained of energy. She was restored to vitality when the Eye sent a number of Legionnaires and others to the XXth century. But her failure to capture the Eye had since come to Mysa’s attention. Mysa teleported Saugin, her family and some other Legionnaires to Zarrox to punish her. Thanks to Zoe’s mother, the connection between them was revealed. Finally acknowledging the debt she owed her, Mysa restored Zoe to the way she was prior to their first meeting. Mysa still had her eye on Zoe, though. Thus, it was to Zoe she turned to enlist the Legion’s aid in fighting Mordru…a foe the Legion was already committed to dealing with. Zoe’s red hair naturally floats in mid-air. She wears a green outfit (which she frequently changes, using her telekinesis to rearrange the molecules of her clothes). Zoe is an upbeat person, always on the lookout for more power so she can help people better. Telekinesis can produce a Steady Glow. Kinetix only uses her Matter Manipulation to change her and other’s clothes. Attractive, Luck, Scholar (Archeology, Artifacts, Fashion). LSH (High), Alephan Council (High), Mysa (High). LEGION FLIGHT RING [BODY 05, Flight: 08, Radio Communication: 08]. TELEPATHIC EARPLUGS [BODY 02, Telepathy: 08, R#2]. TRANSUIT [BODY 04, Sealed Systems: 20, R#2]. Omnicom [BODY 03, INT 03, Split: 03, Recall: 15, Radio Communication: 08, Remote Sensing: 14, R#3. Bonuses and Limitations: Remote Sensing is Sight Only; Split may be used to run separate programs]. Original: Inf 06, Aura 07, Spirit 06. Occultist: 04. “Feline”: Dex 05, Body 04, Inf 09, Aura 09, Spirit 09. Occultist: 06. Extra Limb (Tail): 02, Telekinesis (ML): 12 (Bonus: Can produce a Steady Glow), Magic Sense: 12 (Limitations: Artifacts Only), Awareness: 08, True sight: 09, Force Field (ML): 10. By Danielle Mendus, adapted from JD’s Write-Up (and Byron’s). 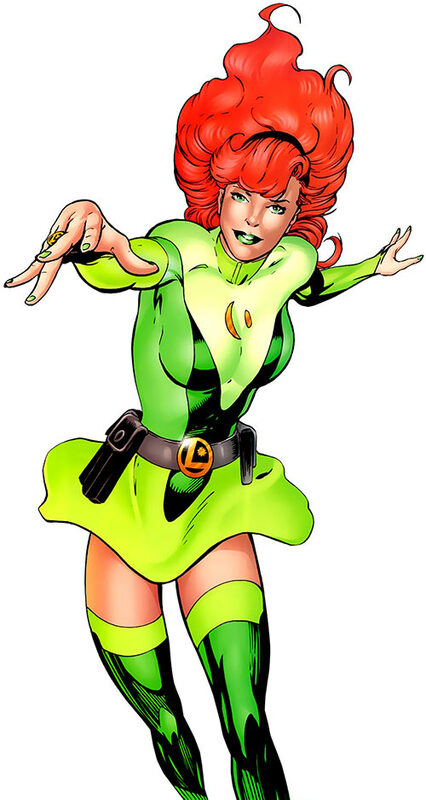 Source of Character: Legion of Super-Heroes (DCU). 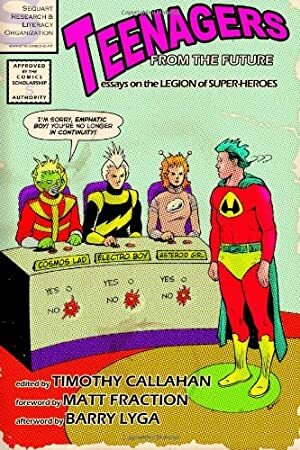 Teenagers from the Future: Essays on the Legion of Super-Heroes.